Hamid Drake first became known as a long-serving partner in Fred Anderson’s groups. He is also particularly associated with both the Chicago jazz and improvised music scene, and the ethnic music scene. He studied under the tutelage of various musicians, focusing more on exotic percussion instruments than a conventional kit. His instructors were: Harry Hawthorn (trap set), Raman Papaiah, Ustad Kedar Khan and Ranchod Das Pandya (tablas), Howie Levy (congas) and Hamza El Din (frame drums). He collaborated with Adam Rudolph, with whom he created a duo. From 1977, he was a member of The Mandigo Griot Society. From 1978, he also occasionally collaborated with Don Cherry. However, it wasn’t until the 90s that he gained anything like genuine popularity, which was expressed in the number of albums he recorded. During these years, he began to collaborate with Fred Anderson again in various groups. He also forged contacts with the younger musicians from Chicago by joining groups like the DKV (Drake/Kessler/Vandermark) Trio. At the same time, he became the percussionist in various Peter Brötzmann ensembles. He is a member of his Tentet and the Die Like a Dog quartet. During his many years of experience as a musician, he has also collaborated with such musicians as: Borah Bergman, Joe McPhee, Bill Laswell and Marilyn Crispell. Apart from jazz, he is interested in various types of ethnic music, mainly of an African pedigree, although he is also not averse to playing reggae. Of particular interest are Drake’s collaborations in various kinds of duo format with Michael Zerang (a percussion duo), Joe McPhee, Borah Bergman, Assif Tsahar, Jeb Bishop or William Parker. As is clear from his broad range of collaborators, he does not limit his interests to the most common duo format in free jazz, which is undoubtedly duos featuring percussionists and saxophonists. He is currently regarded as one of the most interesting percussionists around, whose playing largely resists all attempts at comparison. He regularly turns to both methods familiar from free jazz groups and to ethnic rhythms and instruments. 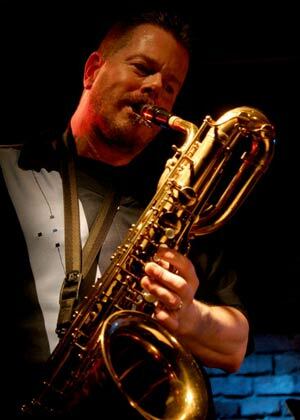 Ken Vandermark – saxophonist and clarinettist. For many years, one of the most important musicians in modern jazz. An extraordinarily skilful saxophonist (mainly tenor) and clarinettist (mainly bass). His playing on both of these is impressive enough for him to be classified as one of the most outstanding ambassadors for these instruments in modern jazz. However he should also be perceived as an animator of the jazz scene in Poland and throughout the world. He was there at the “birth” of Krakow Jazz Autumn. The huge number of projects which he leads is truly impressive. Prepared in 2007 by Ken Vandermark, the Resonanceproject, which he also composed and arranged for, was one of the most important events in improvised music, widely conceived, in Europe. Over the next few years, Resonance became somewhat of a Vandermark flagship project, playing successful concerts at prestigious festivals and recording excellently received albums. Musically, the group has gone through a quite natural evolution – from a jazz band playing composed pieces to a free jazz ensemble of improvisers who understand and collaborate with each other superbly. Currently, Resonance is much closer stylistically to Peter Brötzmann’s Chicago Tentet than jazz’s classic big bands. Kent Kessler – jazz double bassist, composer and performer. In 1985, he joined Hal Russell’s NRG Ensemble, which records for the German label ECM, among others. In 1991, he played a number of concerts with Michael Zerang and guitarist Chris DeChiata. They were looking for a saxophonist for the group and decided to choose Ken Vandermark, a young musician who had not long been living in Chicago. This group was quite quickly renamed the Vandermark Quartet. He continued his collaboration with Ken Vandermark in successive music projects – the expanded Vandermark Quartet (i.e. 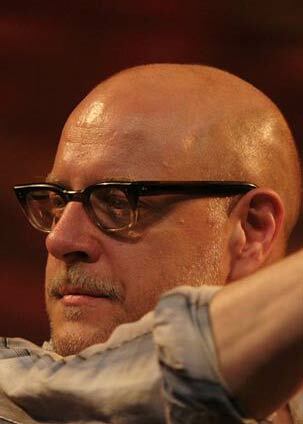 the Vandermark 5), the DKV Trio, Steelwool Trio, Territory Band, while also playing and recording with him as a duo. He has recorded and played concerts with leading American musicians, such as Hamid Drake, Fred Anderson or Joe McPhee, but also with their European counterparts – Peter Brötzmann (he is a member of the Chicago Tentet), Mats Gustafsson, Misha Mengelberg and Luc Houtcamp. 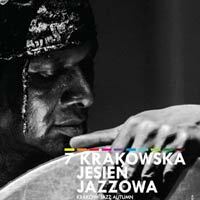 He was present at the “birth” of Krakow Jazz Autumn.